The King and Co | Pub Quizzers | Find a pub quiz near you, now. 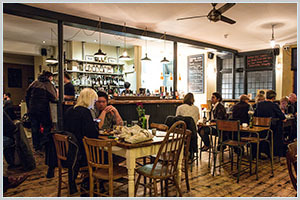 Pub quizzes take place at The King and Co, Clapham Common on Mondays (weekly) at 20:00. Entry is £2.00, you can have up to 6 people on a team. There are prizes of spot prizes, cash, drinks. Happy quizzing! Join us every Monday as quizmaster extraordinaire Tommy McTrivia hosts the most entertaining pub quiz in Clapham. Prizes include £30 bar tab, bottle of wine, spot prizes & the mega cash pot that can be won if you successfully navigate a round of Play Your Cards Right.